Blizzard Entertainment’s Natasha Miller has revealed that Overwatch‘s endorsement system has helped to reduce toxic behavior by as much as 40 percent. Speaking at the Game Developers Conference last week, she said that players who don’t consistently receive endorsements see their endorsement level slip, which encourages them to work towards achieving that level again. Overwatch‘s endorsement system lets players endorse teammates as well as opponents for good behavior at the end of a match under various categories, such as good teammate, sportsmanship, and shot caller. As players accumulate endorsements, they level up. Blizzard also randomly rewards players who level up with loot boxes but Miller reveals that there was some hesitation among developers when implementing this. 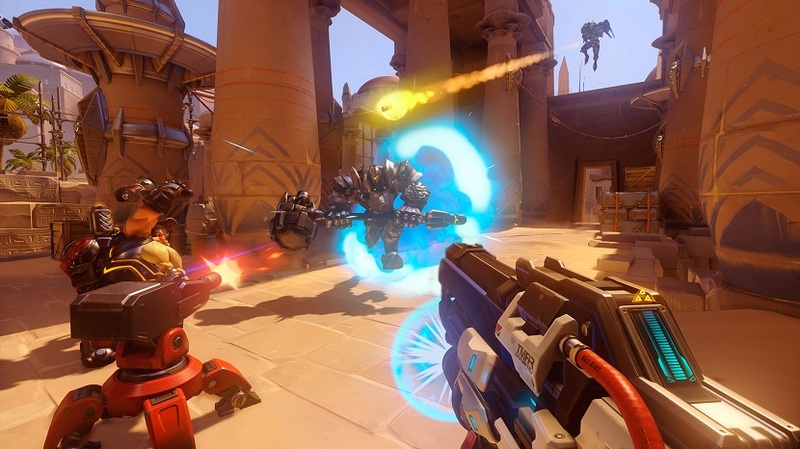 Players who use Overwatch‘s Looking for Group feature are able to avoid those with lower endorsement levels by adding a certain level as a requirement to join the group. Miller further revealed that 50 to 70 percent of Overwatch players have handed out endorsements since the introduction of the feature last year. However, it’s worth noting that the game offers a small amount of XP to encourage players to endorse others. Critics of the endorsement system have noted that it doesn’t accommodate those who tend to play with friends as players are only allowed to endorse those who are not on their friends list. As a result, many see their endorsement levels continue to slip despite good behavior. Concluding the talk, Miller said that Blizzard will continue to combat toxicity, and may implement more systems in the future as part of its efforts.